Q I just turned 50 and went for a heart screening, which showed some calcium in my heart arteries. I enjoy playing tennis and don't feel any chest pains. A The association of calcium build-up within the arteries and plaque disease has been understood for many years. 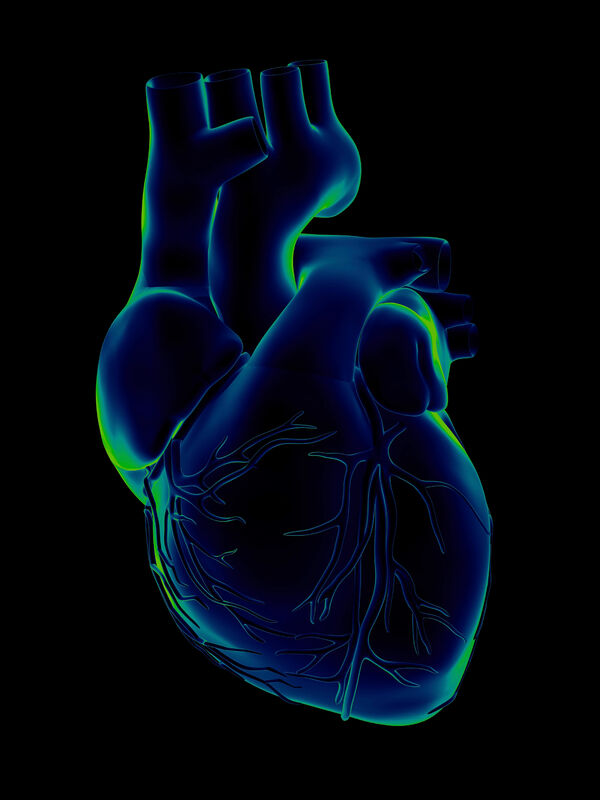 Coronary calcium scoring is currently recommended for people thought to be at higher risk of heart disease, so your doctor was likely concerned about your heart health. The score provides added value to predicting the risk of suffering a heart attack within 10 years. This is usually determined by the presence of traditional risk factors such as age, high blood pressure, cholesterol levels, family history and whether you are a smoker. The calcium score is also presented in terms of your quartile risk - matched against the population of 50-year-old men. Scores range from 0 to several thousands. A coronary calcium score of 0 would suggest the absence of any plaque disease and less than 1 per cent chance of having any blockages. A score lower than 10 is considered very low risk. In principle, the score is a better marker of the extent of coronary plaque burden than the severity of any "blockage". A higher score implies more disease and is associated with an increased risk of heart attacks. It does not necessarily indicate the disease is associated with severe blockages and a restricted blood supply to the heart muscle. The purpose of any screening test is to identify those whose longer-term outlook for heart disease can be improved. Appropriate preventive measures can then be advised for you. Knowledge of your calcium score might improve the motivation to make healthy lifestyle changes. However, if your score exceeds 400, there is a higher probability the heavy plaque burden is associated with severe narrowing. An exercise stress test is important as this would further help to indicate if the calcium build-up is associated with compromise in the heart muscle's blood supply. If the stress test is abnormal or if you develop worrying symptoms such as chest discomfort or excessive shortness of breath, your doctor will likely recommend an angiogram procedure to provide more detailed information on the health of the arteries. The purpose of any screening test is to identify those whose longer-term outlook for heart disease can be improved. Appropriate preventive measures can then be advised for you. Knowledge of your calcium score might improve the motivation to make healthy lifestyle changes. Dietary refinement and continued regular exercise are important. But the need for more protective medication such as aspirin, cholesterol and blood-pressure- lowering pills would depend on your overall heart disease risk and the benefits to be discussed further with your doctor.